I recently wrote a photo essay on the architecture of Charleston for "NyghtVision," an online magazine published by NyghtFalcon Photography. The article highlights the tension I feel as a photographer whenever I visit this vibrant city. To illustrate the article, I drew from a collection of shots I have taken over the last few years whenever I visited the city and some more recent trips designed just to gather more images. This gallery presents the pictures from which I drew. Charleston makes me feel the tension between old and new, simplicity and grandeur, functionality and excess, decay and preservation, color and black and white, poverty and wealth, and business and pleasure. 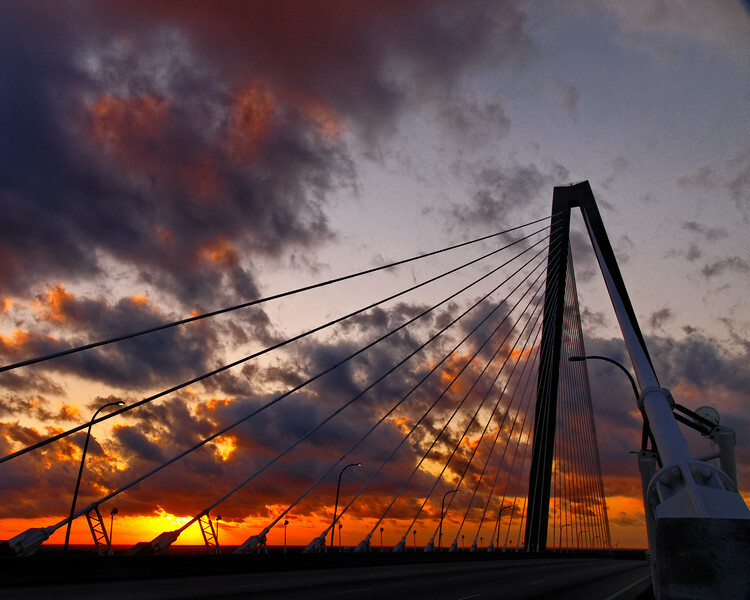 These tensions give Charleston an atmosphere and a pulse that I find irresistible and haunting. History here is as thick as a harbor fog on a cool morning. A walking tour that focuses on the ghosts of Charleston will make you believe that the characters that shaped this city and its history may still be wandering the cobblestone streets. I hope you enjoy these photos. If you are interested in seeing my article and NyghtVision magazine, you can go to http://www.nyghtvision.com. Click on Current Edition. You have to register there to get access. Once you register, click on Current Edition again. Be patient as it takes a few seconds to move between login and the magazine. The magazine also takes a while to load the pages. You can use the arrows at the bottom of the pages to flip forwards and backwards.